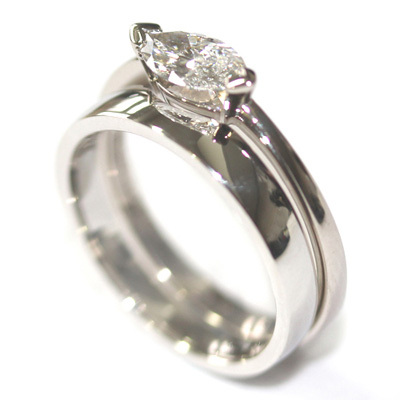 Platinum Fitted Wedding for a Solitaire Marquise Engagement Ring — Form Bespoke Jewellers Ltd.
A fitted wedding ring for a solitaire marquise cut diamond engagement ring. The customer returned to us for a bespoke fitted wedding ring that would sit alongside their 18ct White Gold Solitaire Marquise Cut Diamond Engagement Ring. As their engagement ring has an unusual side profile, a ‘standard’ wedding ring won’t sit snugly against it. A fitted wedding ring is specifically shaped to fit perfectly, like a jigsaw, right up to the engagement ring. 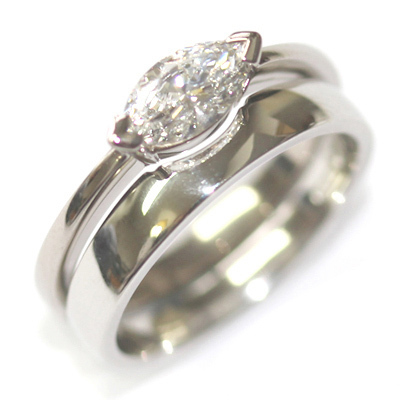 Our Yorkshire jewellers created this platinum fitted wedding ring for them. 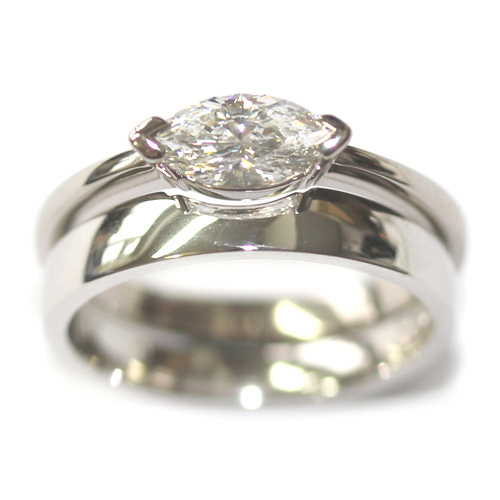 Plain and highly polished it leaves the attention on the stunning solitaire diamond of the engagement ring. A beautiful and bespoke pair!